The OSS library is a space for students to work independently or in groups, as part of learning centres or classes, in order to inquire, conduct research, assess, evaluate and synthesize information in order to learn, grow, and achieve academic excellence. The role of the library has evolved to include not just physical books, but many online resources as well. ​Literacy in the 21st century encompasses not only reading and writing, but also visual media, computer use, and media literacy. It is essential that today's students are information literate. 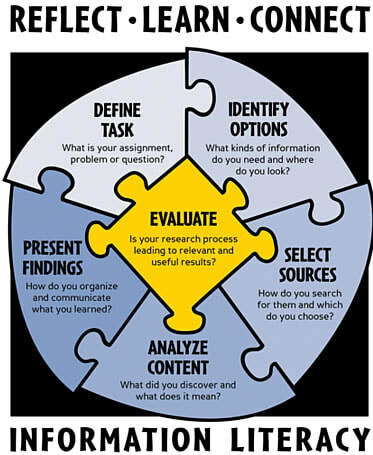 Knowing how to find information effectively as well as evaluating the credibility of that information is an important skill for students to learn.